Yes, this is the same flower as yesterday’s post. As I moved, my eye caught the flash of the sun flare through the frost crystals, so I took another image. It is also slightly darker, showing the detail a little more clearly in the white frost. I am always of two minds when I have several photos I like of the same subject; should I show more than one? Or should I choose one and show only the one? What do you think? This entry was posted in photography and tagged 2012, beauty, crystals, flower, nature, outdoors, photo, Photograph, Photography. Show more than one if you feel it. I hadn’t seen yesterday’s pic, so I had to look back…they are both just beautiful in their own way! 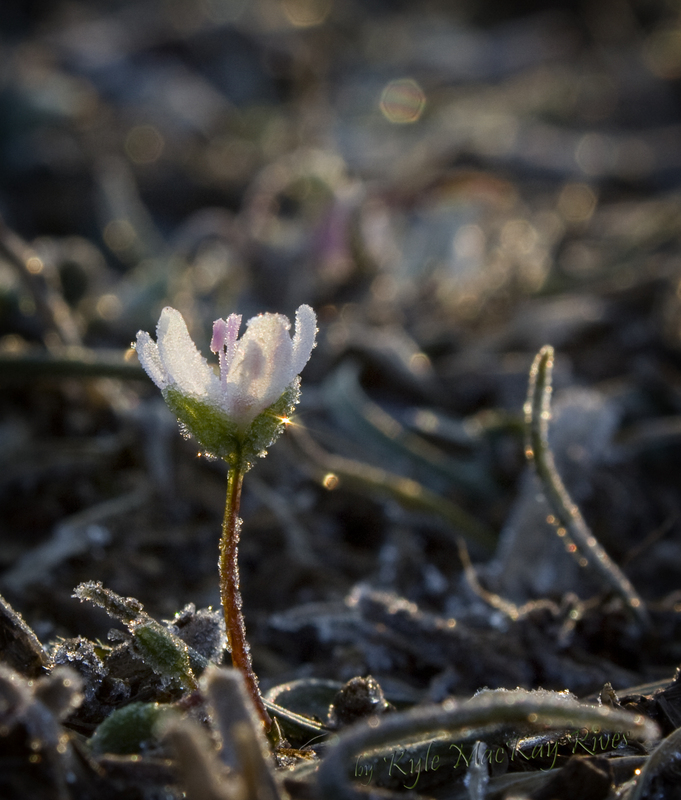 I have seen the open, fresh-faced flower, so it resonated with me, but there also is something very magical about how you captured the sun sparkling off the frost.